Pomp & Circumstance: Confessions from the Comments Section is BORN! Oh, good HEAVENS. If you dear, darling people had any idea what a heaving pound of flesh was extracted from my carcass while writing my new book, Confessions from the Comments Section: The Secret Lives of Internet Commenters and Other Pop Culture Zombies, you would all run screaming to your devices to purchase this masterpiece and tremble with the resultant satisfaction. The book is about 33 “types” of classic internet commenters (trolls included) and the twisted, hilarious ways in which they reveal their secret lives via internet comments sections and social media … usually while thinking they are anonymous. The Puppy Suckler alone is worth the price of admission, but The Drunken Ranter will not be ignored, either. No punches are pulled in this indictment of our decaying culture. No one is spared the sting of the satirical whip, including myself and GOD. Plus, it’s got cartoons. The book is available in paperback and Kindle versions from Amazon and we’re going to be having a ball discussing it over the coming weeks and months. I’ll also be launching my weekly Zanzibar Circus comic, as well, so come back frequently for jollies and snickers. Meanwhile, pour yourself a stiff drink and enjoy EPISODE ONE of my new YouTube series, where you’ll meet Jimmy Swayne, his co-host, Dusty Kinkertoo, and a slew of celebrity guests who couldn’t wait to do the show. Believe me: we were swatting the thirsty Famous People off like flies. Anyhow, on Episode One, Jimmy chats about this & that and reviews the fab new book, Fear and Clothing, by fellow culture-critic and all-around Doyenne of Mischievous Derring-Do, Cintra Wilson. Make that two stiff drinks while you watch. Yeah. Here’s a link to the official book trailer for Confessions from the Comments Section, too, if you’re interested, and you know you darned well ARE. We’ll meet again by moonlight. 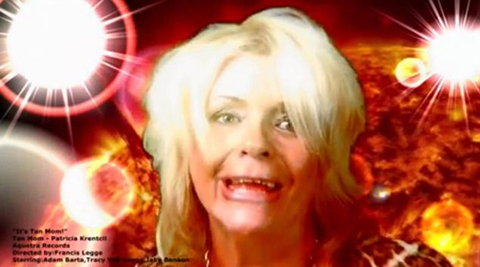 POP HAZMAT HEADLINE du JOUR: “TAN MOM” Releases Music Video. 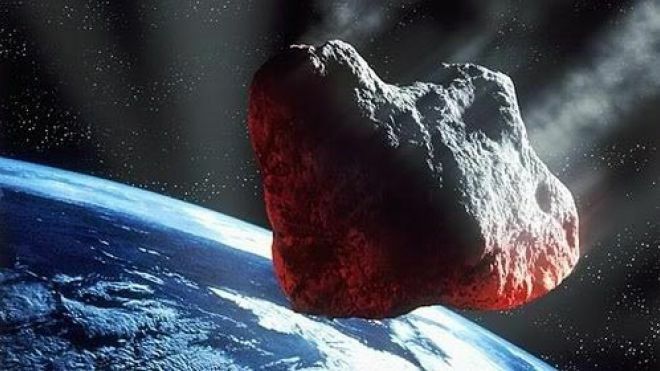 Asteroid Approaches Earth in Nick of Time. Click the Pic to watch a life-changing masterpiece of American entertainment culture that’s certain to garner Kennedy Center honors within a decade … if not sooner. RUDIMENTARY ANALYSIS: Our putrefying culture remains one in which disreputable dirtbags (who ought to be relegated to the desolate Fringes of Chaos) feel quite encouraged to flaunt their willfully degraded, deliberately vulgar and aggressively shameless selves on film, as if mainstream society had thrown-down a “Welcome” mat and had extended to these reprobates a permanent invitation to drop-in unannounced for cocktails. Wait. Did I say: “as if society had …”? Excuse the blunder. Mainstream society has thrown-down the “Welcome” mat for these derelicts … and the mat is swiftly becoming a red carpet. EXISTENTIAL RAMIFICATIONS: The asteroid can’t get here swiftly enough and it may miss the globe altogether. Bummer. Is it just me or does the complexion of that asteroid’s face look eerily familiar? THERAPEUTIC CINEMA: The Road (2009) To evoke a landscape where “Tan Mom” will hopefully be found one day, wandering aimlessly with a thermos of tequila until she stumbles unaware into an encampment of starving cannibals and slovenly offers to shake her “goodies browned” for their entertainment. Please. Someone make that movie and give her a graphic cameo. I’ll be the one down in the front row with a jumbo-sized popcorn and a bag of Red Vines. FURTHER READING: Divine Carnage … so you can read about the Emperor Caligula and his particular era. Don’t worry: if you’re currently living in the United States of America, you’ll feel right at home with this book. Everything will be uncannily familiar. 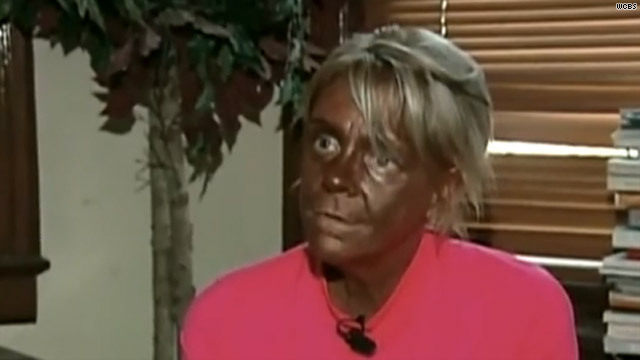 In fact, you’ll be wondering when they’ll get to the part of the story where “Tan Mom” is awarded a seat in the Senate! When it comes to playing the determined, no-nonsense teenaged runaway, Ilyssa, from ‘Rowan Blaize and the Starbane Exile,’ I have a feeling that Miss Sosie could bring home the BACON and fry it up in a pan! Nature/Occupation: Mortal girl. Runaway. Probable future Queen of Kelnia? Background: Ilyssa is the daughter of an apothecary in the mountainside Kelnian city of Pyr Mida. Occupied by the forces of evil sorceress-queen, Oblixta, and used as a military garrison, Pyr Mida is ruled by a repulsive Prefect who conscripts young ladies to serve his every wretched need. Like others before her, Ilyssa is “chosen” and her parents are willing to give her up rather than escape or face execution. Ilyssa, being a determined lass, decides to run by nightfall into the wintry death that awaits upon the cruel mountain above her city … but fortunes can change quickly when magic is in the air. Significant Traits: Auburn-haired and quite beautiful, young Ilyssa proves that a wry sense of humor and a modicum of rebelliousness can take a girl far in any world. Unique Powers/Abilities: Of all the things that can be said about Ilyssa, being a “good sport” and being able to think fast on her feet are two of the best. 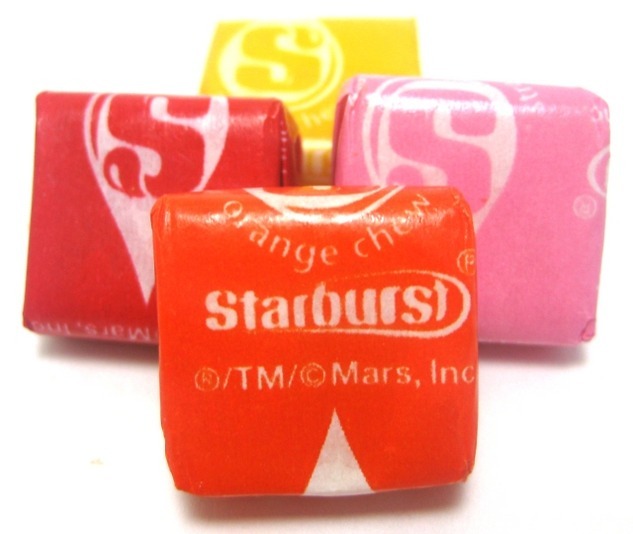 TODAY’S DUBIOUS HONOREE: STARBURST FRUIT CHEWS! RUDIMENTARY ANALYSIS: What follows is a (verbatim) “flashback scene” from one of my elementary school classes. During this class, our halitosis-stricken teacher, Miss Marion “Spaghetti Legs” McGrady, was attempting to gauge local nutritional values from an informal survey of our confused and disenchanted brains. During the course of the lesson, she asked various students questions about their own “healthy food choices and experiences” at home. Unfortunately, she chose to petition our obese and somewhat oily classmate, Ronald Frakey, in this regard. 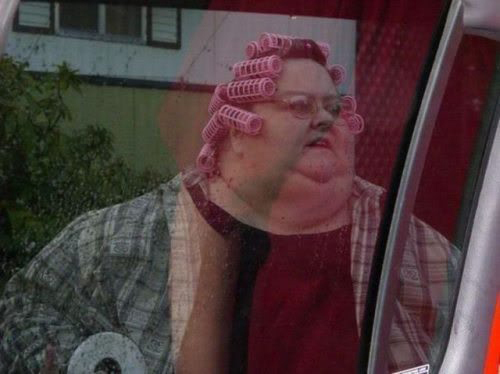 Ronald’s mother, Lurlene Frakey, was well-known for spending entire mornings and afternoons sitting on her dilapidated front porch in curlers, a bathrobe and tatty pink bedroom slippers, sipping regularly from a bottle of Jack Daniels and often complaining to her deaf, one-eyed cat, Boogers, about the rising cost of menthol cigarettes. Spaghetti Legs McGrady, however, was apparently unaware that the Frakey household was a less-than-ideal source from which to extract useful information about the Four Food Groups. On this particular day, Spaghetti Legs was fixated on the importance of fruit in the human diet. The rest of us were breathless with anticipation as she focused her powers of inquisition upon Ronald. BRUSH WITH GREATNESS: The glory of Starburst is exceeded only by its illustrious progeny … it’s not every candy that can give birth to a SKITTLE. WHERE ARE THEY NOW? : Starburst is still mesmerizing children from its place of honor atop 7-11 candy displays everywhere. 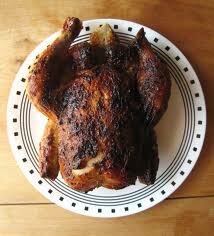 Ronald Frakey has been in and out of jail since murdering Boogers the cat with a can of Pillsbury Thanksgiving rolls. Mrs. Frakey’s liver (which is all that remains of her) is preserved in a jar on a shelf at the Institute of Cirrhosis Research & Prevention in Ottawa, Ontario. 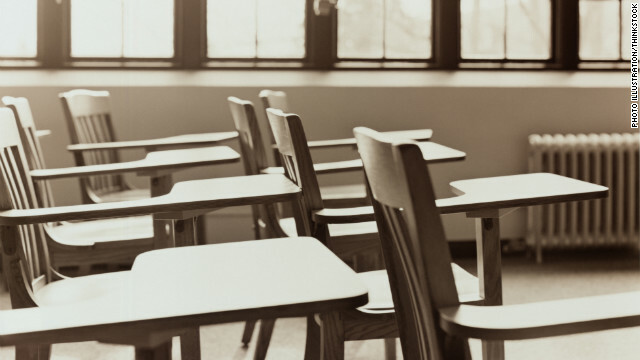 Miss Marion McGrady never came back from the teacher’s lounge. 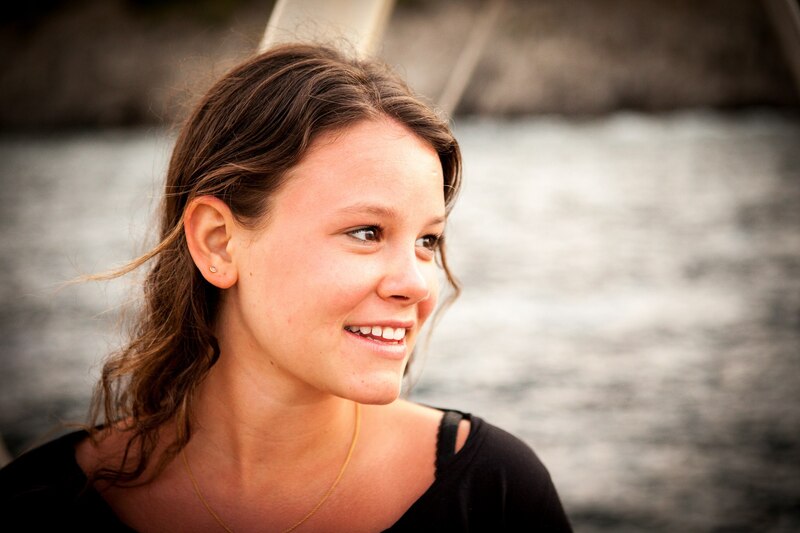 Her whereabouts are unknown. SPRUCE IT UP WITH A COCKTAIL! : Pop one of those beguiling little squares into your next Mango Margarita. It’s good, healthy fruit … and your bowels will move like a waterwheel. Trust Mama Frakey. 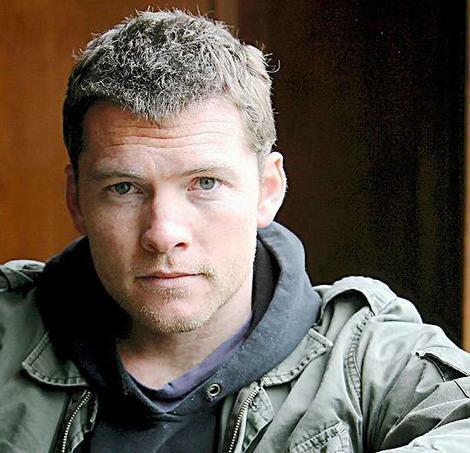 Sam Worthington has just the right blend of scruff, understated snark, and heroic swagger to play sword-wielding spy, Talthagar, in an adaptation of my novel, “Rowan Blaize and the Starbane Exile.’ He’d have to grow some serious hair, though. Are you up for it, Sam? Expect a call from your agent any day now. Nature/Occupation: Mortal warrior. Swordsman. Spy for Sye, King of Corydia. Background: Talthagar was the son of a Lady-in-Waiting in the court of Queen Scilde, first wife of the Corydian King, Sye. Talthagar’s father was one of the King’s most valiant warriors. Taking up the example of his father, Talthagar showed unparalleled gifts as a swordsman and rose at a relatively young age to great favor in the eyes of the aging monarch. He also demonstrated exceptional skill as a spy for the royal court, moving between Kelnia (in the North) and Corydia to form ties with the Kelnian resistance movement known as the “Kashizma”. Significant Traits: Talthagar is a ruggedly handsome man of great physical strength and mental resolve, as befitting an individual of his dangerous professional stature. No less redoubtable is his behemoth black stallion, Skull, from whom the warrior is seldom parted and with whom he enjoys an almost symbiotic relationship. Talthagar is a loner, which is probably one of the reasons he is such a capable woodsman and tracker, in addition to his other qualities. Deadpan in terms of humor and impatient in terms of disposition, the great Corydian hero is nevertheless a man of pure heart and unbreakable courage … even in the face of sorcery he can scarcely begin to combat or comprehend. Unique Powers/Abilities: Swordfighting. Tracking. Horsemanship. Espionage. Bravery in the face of wicked witches.